Lax S, et al. : Bacterial colonization and succession in a newly opened hospital. Sci Transl Med. 2017 May 24;9(391). pii: eaah6500. doi: 10.1126/scitranslmed.aah6500. Freedberg DE, et al. : Receipt of Antibiotics in Hospitalized Patients and Risk for Clostridium difficile Infection in Subsequent Patients Who Occupy the Same Bed. JAMA Intern Med. 2016 Dec 1;176(12):1801-1808. doi: 10.1001/jamainternmed.2016.6193. 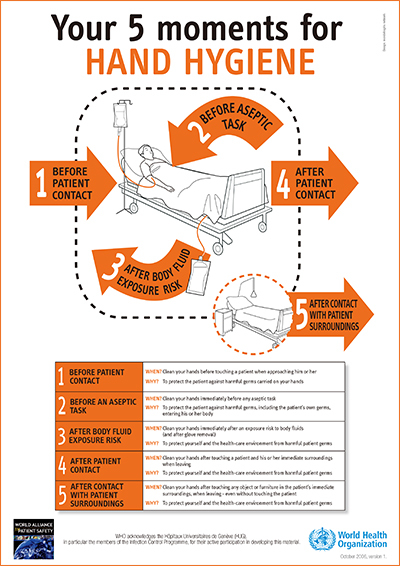 Copyright (C) National Center for Global Health and Medicine, Antimicrobial Resistance Clinical Reference Center All rights reserved.